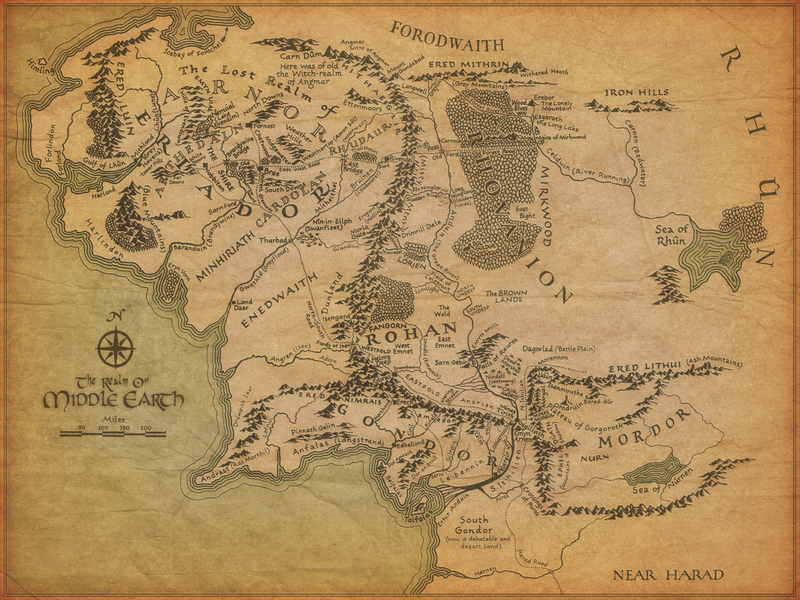 Map of Middle Earth. This is wallpaper rendition of J.R.R Tolkien's Middle Earth, the fantasy setting for The Hobbit and The Lord of the Rings.. HD Wallpaper and background images in the Il Signore degli Anelli club tagged: the lord of the rings image lotr j.r.r. 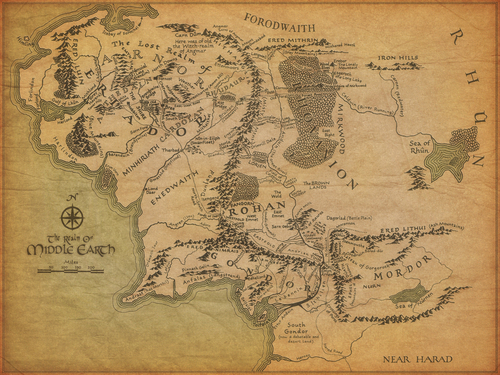 tolkien map middle earth wallpaper fantasy setting.